I started drinking a lot of tea around November of last year – there is just something so comforting about a piping hot cup of tea. As many food bloggers will tell you, we often get inspiration for recipes from things we’re eating or drinking, and ever since I started drinking a lot of tea, I’ve been inspired to use it in my cooking and baking. For a couple of months, I was obsessed with perfecting a chai tea poundcake, but I could never get it quite right, so I moved on to cookies. These are a simple, buttery, melt-in-your-mouth shortbread cookie that get their flavour from a fruity, black currant tea from Alokozay. You can pick up this tea in Ontario at Metro, Food Basics and Adonis and in Bulk Barns across Canada, but I just ordered mine online – it shipped in a day! It’s funny the way inspiration hits you at the worst times. For me it’s usually when I’m falling asleep, or driving on the 401, or stuck on the subway, but the idea for these cookies came to me during an early-morning study session a few weeks ago. This was a time when 80% of my life was made up of school work and it was a slog and a half. One of my favourite things about food blogging is that I get the chance to work with different brands and products for recipe development. It’s a fun challenge and after an exhausting semester at school it was just the extra little push I needed to get my creative juices flowing and get back in the mindset of blogging. And here I am, caffeinated and more ready than ever to get back into this space. The first time I made these cookies, I was floored by how the tea flavour really came through in the cookies. 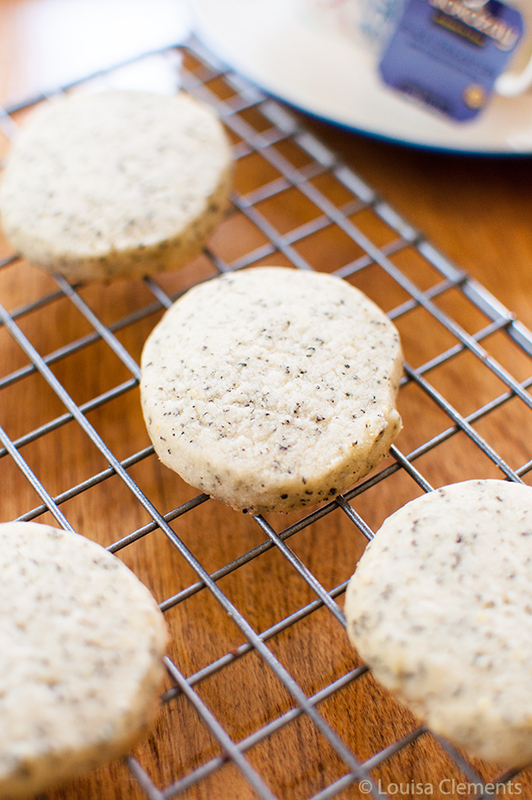 In my previous experience baking with tea, I always found that the flavour mellowed out quite a bit during the baking process, but that is definitely not the case with these cookies. 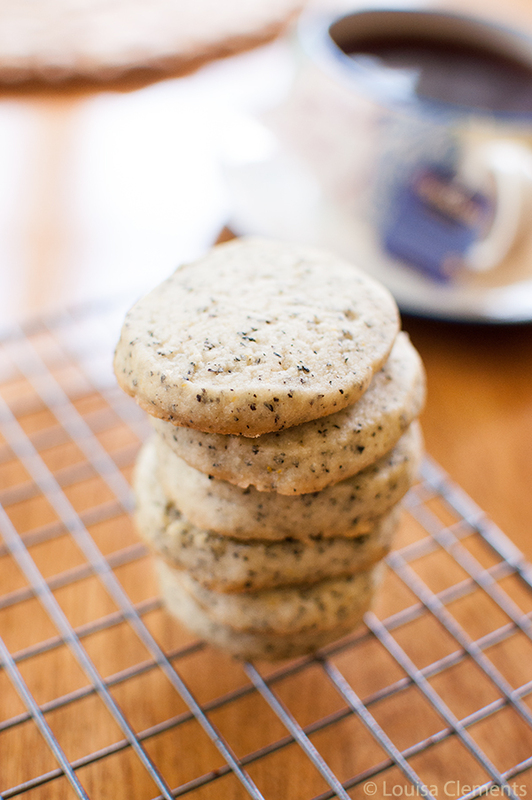 I love how robust and complex the flavour is from the tea, I just whirl the tea up with flour and salt in a food processor – that’s what the black flecks are in the cookies. Isn’t it gorgeous? 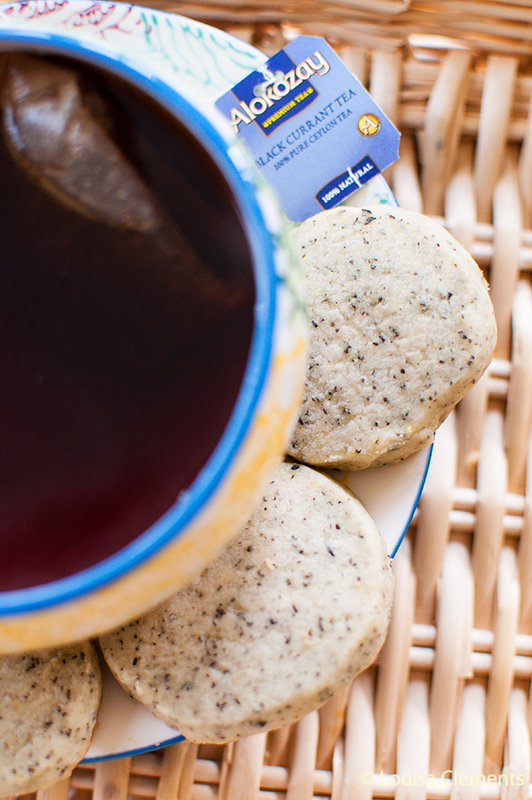 And for you, I’ve got a $1 off coupon so you can go pick up some of your own tea and give these black currant tea shortbread a try. Whirl flour, tea and salt in a food processor. Add butter, sugar, vanilla extract and lemon zest. Whirl until dough comes together. Wrap two 6-7" logs in plastic wrap and refrigerate for 40 minutes. Slice cookies into 1/4" thick cookies and bake for 13-15 minutes. 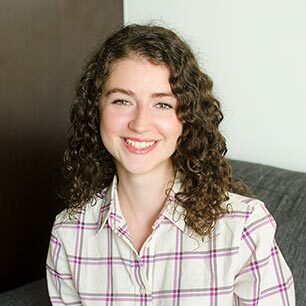 Disclosure: This post is sponsored by Alokozay Tea through Branding and Buzzing – as always all opinions are my own. Thank you for supporting my sponsors and allowing me to continue creating content!